Stephen Curry wants to end his career at the Golden State Warriors. The 30-year-old superstar point guard has spent his entire career with the Warriors, winning three NBA championships. 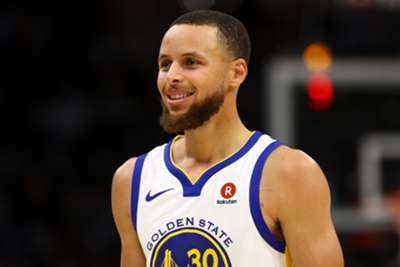 Golden State selected Curry with the seventh overall pick in the 2009 NBA Draft and the two-time MVP is not planning on leaving. Asked on the Bill Simmons Podcast if he hopes to retire with the team, Curry said: "For sure I do. This is home. This is where I want to be, for obvious reasons." Curry, who grew up in Charlotte, was also asked if he ever thought about playing for his hometown Hornets. "I love the Bay Area, man," he said. "The only reason I go home now is if my sister's getting married or to go play the Hornets for that one game, so I haven't really been back much. I haven't put my mind there." Curry, a five-time All-Star, averaged 26.4 points and 6.1 assists in 51 games for the Warriors in 2017-18. He signed a five-year, $201 million contract extension with Golden State in July 2017.